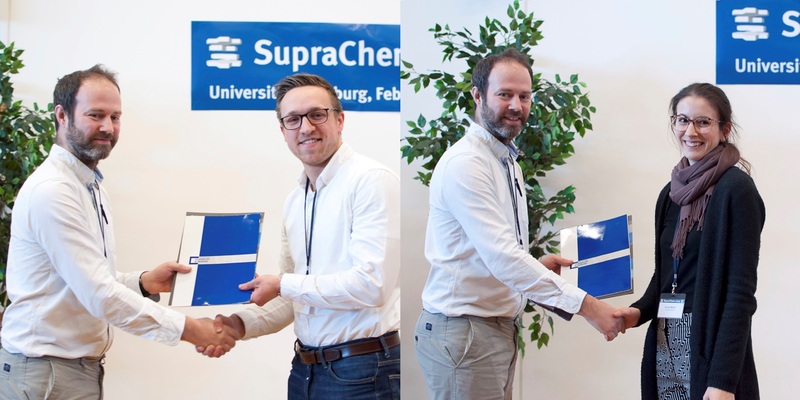 Congratulations to the SupraChem 2019 Award Winners! 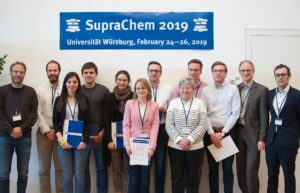 SupraChem 2019 was recently held at the Julius-Maximilians-Universität in Würzburg, Germany and organised by Florian Beuerle and Organic Chemistry Frontiers Associate Editor Frank Würthner. Organic Chemistry Frontiers was proud to support and sponsor the meeting, alongside Chemical Science and Materials Chemistry Frontiers. 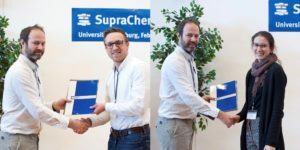 This free-to-attend meeting brought together supramolecular chemists from Germany and neighbouring countries and covered a range of topics from supramolecular machinery to materials and analytical techniques to host-guest chemistry and sensing. Keynote lectures were given by world-renowned supramolecular chemists Vivian W. W. Yang, J. Fraser Stoddart and, new Chemical Science Editor-in-Chief, Andrew I. Cooper. These speakers helped generate some great discussion alongside the additional 27 presentations and led to a very successful meeting. Congratulations to all the poster prize winners!